Before the flight, you need a license from the Ministry of Communications. The permission costs $ 50 for photography and $ 100 for film-making. Also, in Ethiopia, because of the volcanic activity and related magnetic field differences, you should be careful to recalibrate the compass before each drone flight. 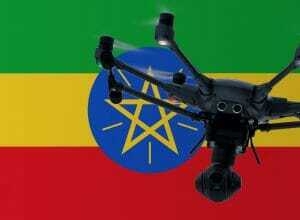 We have researched the listed drone regulations for Ethiopia to the best of our knowledge. We cannot guarantee the correctness of the information. If you want to be on the safe side, contact the competent aviation authority. Alternatively, you can also ask the embassy in your country for further information about the regulations. Please leave us a comment when you receive news and/or gain experience with your copter in Ethiopia! Hello Francis! Thank you for this very helpful blog. I was wondering if you have a contact in Ethiopia who can help with getting a permit for a small DJI Spark? Thank you so much for all your help. Unfortunately, I do not have a contact in Ethiopia. I am sorry!